In this environment, it’s critical that you step back and look at ways you can work on the business, rather than simply in the business. That’s the opportunity WERC presents for warehousing and logistics personnel. The WERC Annual Conference is unparalleled for its quality and depth to which it explores these and other key issues. No other event goes as far to meet the needs of warehousing and logistics professionals. Take your business and career to the next level; join us in Fort Worth, Texas, from April 30 to May 3, 2017. 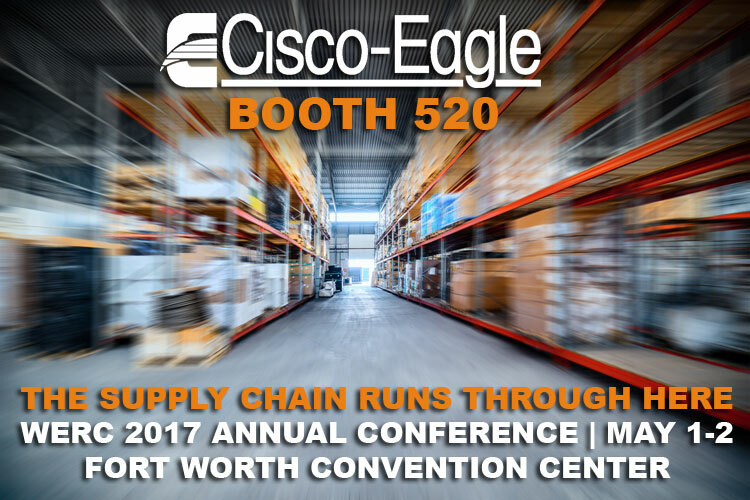 Cisco-Eagle will be at booth 520. Come see us if you are attending!